Did you start college and then stop? Did life get in the way? Was it way too expensive? Did you get into it not knowing what you wanted to do, or realized what you were studying wasn’t what you thought it would be? More and more Americans are not completing college. Before you go back to school, here are three questions to consider before investing more time and money in a traditional educational path. 1. Do I have time for school? Does your work and family schedule allow you the time to go to class, make time to study, and to meet deadlines? Be realistic about your schedule, your learning style, and your organizational habbits. If you have a demanding schedule, there are options for you. You can take a partial courseload instead of a full course load. There are distance learning options that you can do from home, and some even at your own pace that many schools offer. Talk to an advisor at your school of choice to see what option is right for you. 2. Why do I want to go back to school? Do you want to challenge yourself and learn something new? Do you want to get a leg up in your field? Are you looking for a career change or to launch right into a career? 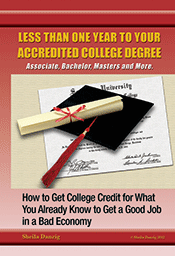 You want to choose the right school and program for your educational and career goals. If your end goal is graduate school, or continuing into even higher levels of education, a four-year bachelors degree program is the way to go. If you’re looking to improve your standing in your current career, specialized classes, certifications, and continuing education may be what you’re looking for. If you want a career change, a career college or trade school may be the way to go. 3. Do I have to go back to school to earn my degree? This is a question most people don’t think to ask. If you’ve already completed some college and been working during the time you haven’t been in school and learned skills on the job, you may already have earned your degree. Don’t go back to school if you’ve already met your educational goals. Before you apply, visit TheCareerPeople.com and talk to us about your education in and out of the classroom.